I was born in São Paulo, and have been living in Florianópolis for the past 7 years. Here, I’ve been working for Impact Hub São Paulo and the global team on partnerships in Latin America. When did you first become interested in social entrepreneurship? After working in a consulting company where I was trying to help large corporations to be more sustainable, I decided that I wanted to start businesses with an impact DNA from the very beginning. That’s when I started a social business and co-founded Impact Hub São Paulo between 2006 and 2007. 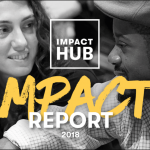 What drew you to Impact Hub? I met Maria Glauser (Impact Hub’s first ever host in Impact Hub Islington) and Pablo Handl (my co-founder at Impact Hub São Paulo) at a friend’s party at the beginning of 2006. It was here that Maria presented us with some pictures and told us the story of Impact Hub Islington. I got excited about it, and in June 2006 I visited Impact Hub (The Hub at that time) in London. As soon as I got back to Brazil started to work with Pablo to make Impact Hub São Paulo happen. Well, it has been quite a long journey! So after Impact Hub started in São Paulo, we supported new Impact Hub initiatives in Brazil and elsewhere, since there was only Islington and São Paulo then (Amsterdam was about to start). There was a lot to be done. In 2010, when we had grown more, I was in the meetings where we started designing the two global entities (the Association and the Company). Later on I served as chair of the Board for three years (2012 – 2014), and in 2016 I started working on business development for Latin America. In 2015 I co-founded Impact Hub Floripa with Gabriela Werner and supported Marcus Bessa and Juliana Telles to start Impact Hub Manaus. I worked in the Seed Program in Africa to support the opening of new Impact Hubs and also supported some Impact Hubs as an onboarding coach. From 2018 onwards I’ve been focusing on business development for Latin America and São Paulo partnerships. What’s been your biggest challenge & proudest achievement to date? Taking care of my two children, Theo and Sophia, is probably the biggest real challenge and what I definitely feel more proud about. What can you tell us about the social entrepreneurship scene in Latin America right now? 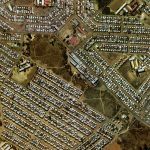 In the past years it has evolved significantly and contributed to taking many people out of poverty. Now, new challenges are arising; like promoting democracy (Venezuela is the extreme case as our dear friend, co-founder and Director of Impact Hub Caracas, Claudia Valladares knows, but many others have its democracy institutions at risk) and working on gender equality. For our readers who don’t know what ANDE is, can you tell us about it? ANDE is the Aspen Network of Development Entrepreneurs, and brings together its members from the most relevant global, regional and national institutions that support small and growing business entrepreneurs in emerging markets. It’s a “meta Impact Hub” in a way, working to promote connections between these members, advance the entrepreneurship agenda in emerging markets, and advocate for the sector in larger national and global forums. How did you first become involved with ANDE Brazil? When we as Impact Hub Network became members of ANDE and two years ago I joined the Steering Committee at ANDE Brazil. 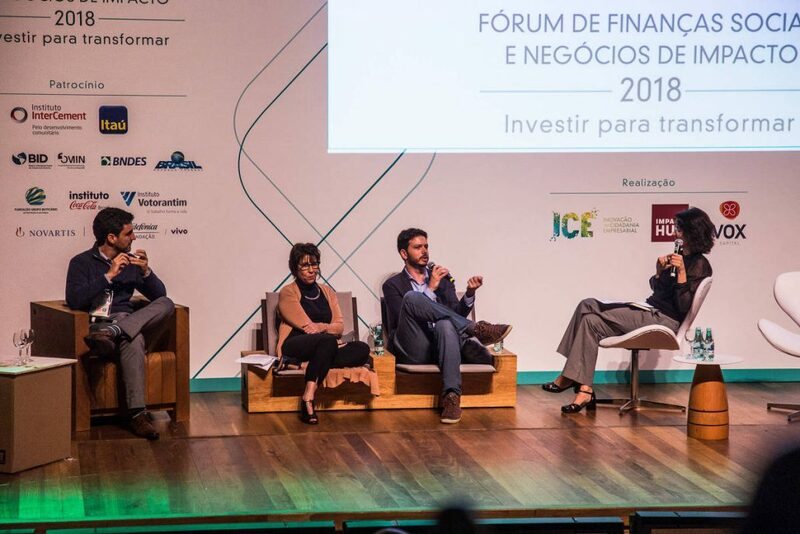 The impact ecosystem has changed significantly in the past years in Brazil and I saw the need for ANDE to evolve its mission and start working more on research and advocacy. This would allow the ecosystem to take its next step towards becoming mainstream in Brazil. That was the agenda I shared with my colleagues in the Steering Committee before I was elected as chair. This will support Impact Hub and other ANDE members to advance their work and expand its activities in the country. What’s the connection between ANDE Brazil & Impact Hub? Our missions are quite aligned and we’ve been working together in the past years on entrepreneurship research (like GALI). We also recently got granted by ANDE to run a gender lens research program as part of Accelerate2030 in Latin America, and many of our strategic partners like Argidius are ANDE members. What does this new position mean for you? This new position will allow us to make sure that ANDE plays its role in the impact ecosystem in Brazil and explore synergies with its members, including Impact Hub in Brazil which is currently in seven cities, and is one of the key ANDE members with a broad presence in the country. Get to know yourself and explore all kinds of self-learning opportunities. Getting to know yourself better, especially your strengths and weaknesses, will help you to serve others better. 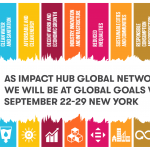 Once a year, the Impact Hub Network gathers to share best practices in hosting collaborative spaces and global networks for impact. This year, I can’t wait to host the whole Impact Hub Global Community here in Floripa for our Global Gathering!